competitive with iPhone 4g, iPad, Android and Mobile 6.0.,etc. competitive with Widcomm，Windows XP and IVT Software..
2、ultra thin：Effectively improve the fatigue of finger and wrist. 3、noiseless：Can effectively avoid interference to others（Especially suitable for the people using in the same room）. 4、anti-pollution，anti- acid-base，dustproof，waterproof（only the silicone material）. 5、Surface is under special treatment，Not easy to absorb dust. 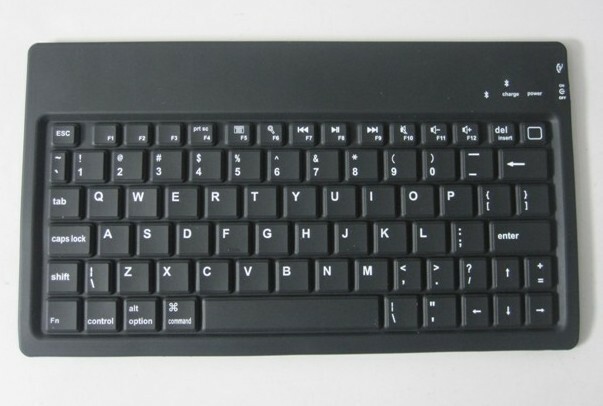 A、material: the foldable keyboard , made of high strength and high elastic silicone material,safe and environmental protected, non-poisonous and tasteless ,is the new revolution of Computer peripherals industry and mobile office. C、Waterproof and moisture-proof: Have elecllent waterproof performance, can be used in wet environment and even in shallow water.It can prevent beverage or other liquid pouring on the keyboard, avoid internal circuit damage. D、anti-acid base：because the unique character of the silicone, it can be used in any acid and alkali corrosion environment. E、dustproof and sand proof: the character of totally-sealing can make sure the keyboard be used in sandstorm. F、compactness：The roll up charcter makes it the most space saving product among the computer peripherals.